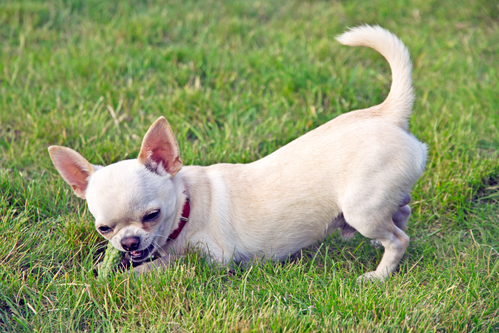 5 Cool Bonuses of Feeding a Raw Food Diet - Petpav - Your Online Magazine for All Things Pet! 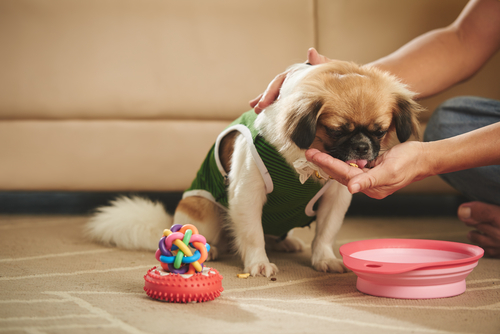 Have you heard of raw feeding for pets? The idea is to feed our pets a diet of fresh food and zero preservatives. Like me, many people are drawn to the raw food diet after giving up on traditional treatments to combat allergies, digestive issues, or other health issues with their pet. Rodrigo is a border collie, blue heeler mix we adopted (along with his sister) in 2010. From the start, Rodrigo had digestive issues. I thought we were feeding him a quality food. I was told to shop in the “high end” pet food aisle for the quality brands. I guess I was in the wrong aisle. Two years and four dog food brands later, I was ready to try raw feeding with our dogs. Rodrigo had a terrible skin rash, protein and environmental allergies, chronic ear infections, joint issues, and digestive issues. He was three years old, and I wanted him to enjoy being a dog. I transitioned our dogs to raw dog food by Darwin’s Natural Pets during the spring of 2013. Immediately we saw improvements. Today, more than two years later, I make our dogs food every weekend, occasionally supplementing with pre-made raw when I can get a good deal. 95% of Rodrigo’s health issues have vanished, and I add supplements to his diet for joint and digestive health. The list of benefits that come with feeding a dog a raw food diet is long. I have witnessed all of these improvements in our adult dogs. When we brought our puppies home two years ago, we immediately started them on raw dog food. Today, I feed raw to four dogs. 1. I take such pride and comfort in knowing what our dogs are eating. The more I learned about the pet food industry, preservatives used in pet food, and questionable sources for the proteins – the more afraid I became. Today, I know exactly what our dogs eat and where it comes from, and it’s a great feeling. If our dogs have digestive trouble or a rash (which is rare), I can fix it immediately and naturally. 2. Our veterinarians are on our side! At first, they weren’t too keen on us feeding our dogs a raw food diet, but when our dogs were examined, both vets were on board, because our dogs are gorgeous and healthy. 3. There is a HUGE raw feeding community there to support us. Like every community, there are some pushy people out there, but for the most part, raw feeders want to help others feed their dogs better. I’ve learned a lot from my fellow raw feeders. 4. Raw feeding is inexpensive! I used to think I couldn’t afford to feed raw dog food, and if I was still buying pre-made, I wouldn’t be able to afford the diet. I was introduced to a local raw food co-op and was able to slice my monthly budget IN HALF! 5. Lots of variety. Although I fall in love with things and eat them daily for months, for the most part, I don’t want the same meal every morning and every evening. I don’t think our dogs want this either. Feeding raw allows me to alternate their meals and offers a lot of variety that I couldn’t do on a dry food diet. In the past two weeks, our dogs have had turkey, venison, elk, and rabbit. 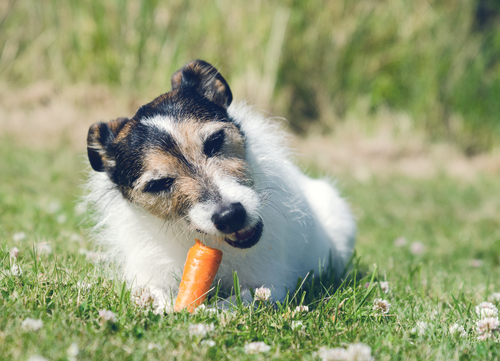 Raw feeding is one of many healthy choices for dogs. Becoming a raw feeder doesn’t mean that I’m better or smarter than other dog lovers; it simply means that I made a choice that I believe is right for our dogs. If you want to learn more about raw feeding, take your time and do your homework. There are plenty of books, e-books, and communities that will provide you with a lot of information. Do not allow anyone to push you into raw feeding until you’re ready and don’t allow yourself to be made to feel bad should you decide that raw feeding isn’t appropriate for you and your dog.